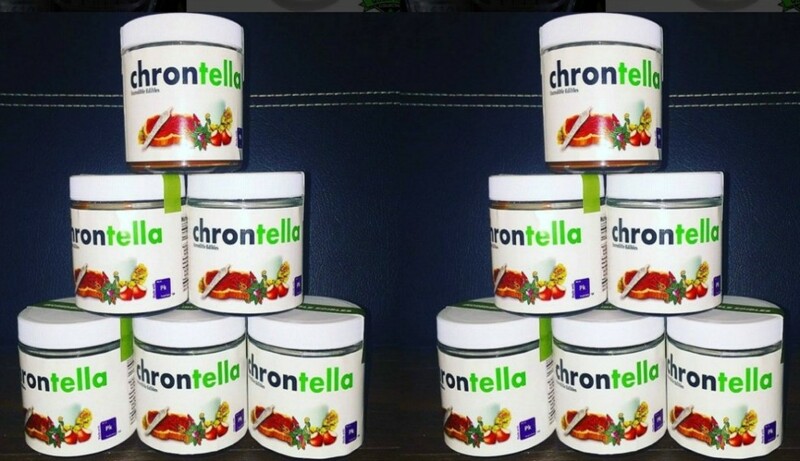 Meet Chrontella, a weed Nutella. A jar of the stuff will set you back about $23, but it’s currently only available from dispensaries in Canada. I know what you’re thinking and I am with you one thousand per cent — life is unfair. They’re also selling Pif, a weed peanut butter. Which, again, you can not have unless you live in Canada. So, on that note, I believe we can all agree that life is doubly unfair. At least.